June 9, 2018 was an exciting day for Beatles fans in Liverpool. 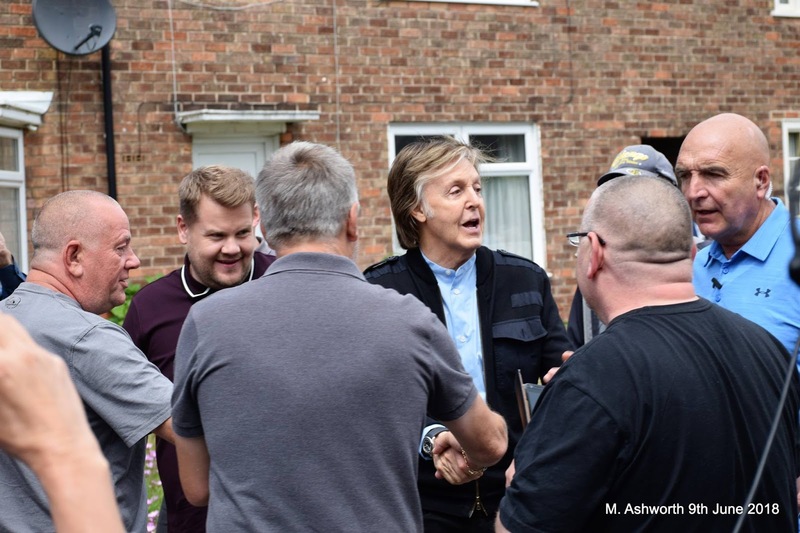 Paul McCartney along with James Corden arrived in town much to the surprise of everyone! 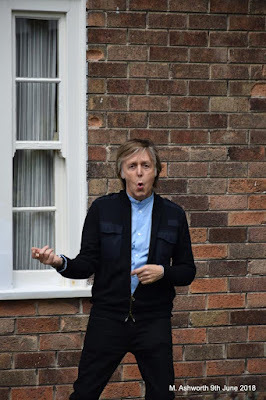 Paul was seen down at the dock at the Beatles statues, the Penny Lane area, his childhood home on Forthlin and ended up playing a surprise gig at the Phil (where I hope he used the fancy men's loo). 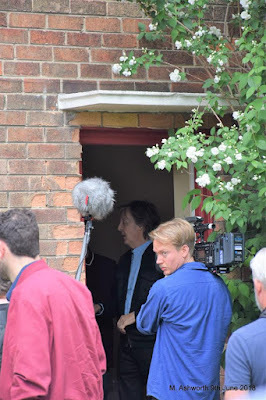 I am hoping to gather several stories of fans that were able to have a close encounter of a Paul kind yesterday, so expect to see and hear more about this soon. Pretty surreal to see Paul at a place that is now a tourist attraction, but to him was where he called home. 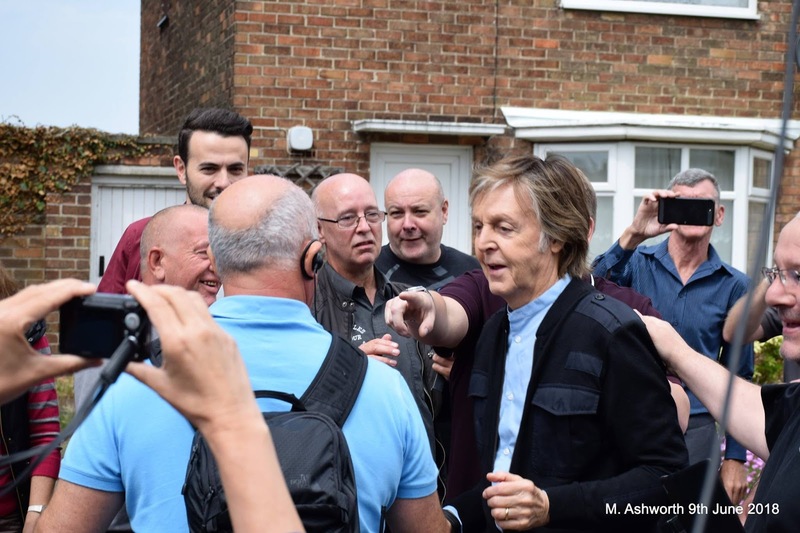 Just a reminder that you never know where you might see Paul McCartney! Amazing day of sightings for lucky fans and especially those listening to new & old music at The Phil! Need to wait & see but I thought carpool with Corden might be changed to hometown reminiscing with Paul (which is soooo much better) and The Phil gig will be broadcast alongside the drive around.. My thoughts anyway will have to wait and see! Beautiful. I wish he'd let me know he was coming, I'd have got the train down. Hope he was able to access his memories - Lennon coming down the path for a writing session, etc. 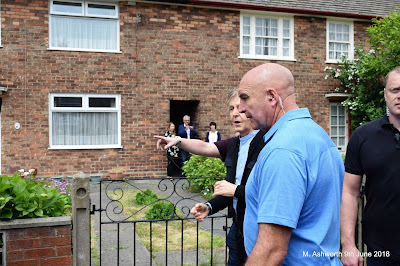 in the last house his mam lived in. I always liked his hold on his Liverpool past - - more than nostalgia, a way of keeping his celebrity grounded and keep the continuity between where he got to and where he's coming from. I trust it. It's no p-r stunt - he's channelling a touchstone for what I'm guessing occurred to him as maybe a final visit, which is how I think he approached the US tours this year. Not always easy to go back and summon the past in a world changed beyond moral recognition, so let's hope the lad came away with his memories recharged. I have a feeling Paul is slowly transitioning towards his natural gray. An overnight switch would be too jarring. This actually looks pretty cool. Well, would you like Paul telling you what to do with YOUR hair? Really? Just saw the Paul & Corden adventure and it was wonderful; Paul seemed so relaxed, talked so freely & seemed so happy. This will be in my memories.